If you read the article posted a little while ago entitled, “J.A.R.V.I.S. I.S. H.E.R.E. !” much excitement and awe must have went through your brain. Chad Barraford, the creator behind his digital life assistant, or more commonly called, ‘Jarvis’ was kind enough to spend ten minutes of his time and talk about Project Jarvis. 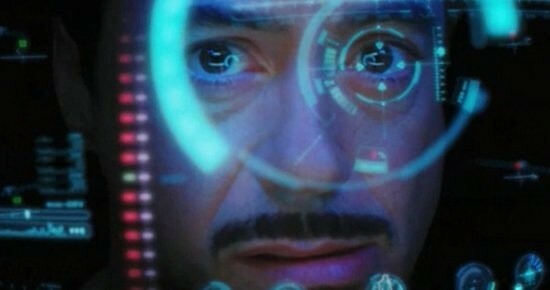 Project Jarvis has emerged from a simple concept after the movie, “Iron Man” to something Barraford depends on and uses on a daily basis. Want to read our interview with Barraford, see below. I understand you are a Mac enthusiast, how did it start? I was originally a PC fan, like a lot of Mac Users, and I got job working for Campuses of Design when I was at UMass Dartmouth maintaining a large-scale banner printer and that was when I was first exposed with the Mac and fell in love with it. When I first got out of College, I started working at Apple as one of their Mac Geniuses at their Burlington, Massachusetts Store. I got more in love with the Mac and I have been following ever since. How did Project Jarvis start? Project Jarvis started from an inspiration from the movie, “Iron Man.” When I first saw the film, like I think other people though of in terms of a very similar of “I love the idea of the Jarvis character, but I probably won’t see that in my house until I’m eighty years old.” As time when on, I kind of though to myself that I could do some of the Jarvis System that was portrayed in the film. It started off as a simple idea of, “What if my apartment or house had it’s own twitter account?” What would it ‘tweet’, what would it ‘talk’ about, what would it let you know and how would you communicate with it? It started off with just a Twitter concept and it just grew and grew and grew to voice, IM, SMS. Expanding its capabilities from just simple Netflix, package tracking, and home automation to tracking my GPS coordinates and more advanced things. He is powered by a four-year-old Mac Mini with 1.3GHz of processing power, and one gig of ram and an eighty gig hard drive. It’s pretty old, pretty slow, but thankfully what he does, does not require a lot of processing power or memory. What really does require a lot of ram and processing power is the speech recognition software of him. I bought an xTag Repo microphone and I hooked it into Mac Speech Dictate and so that when I speech to Mac Speech Dictate, which the command is “Jarvis”, it basically takes speech I give it and puts it to text and converts it to a command for Jarvis to be interpreted and executed. What other ways do you ‘speak’ to Jarvis? Twitter, IM, SMS, Command Line, RFID Tag, and Email. I think I built about eight or nine means of communication depending on the situation I am in. I found that I needed to find the most efficient means of communication whether I’m: in my bed, on the bus, in a movie theater, or what. I found that over time I would build more ways of communicating. Can you explain more about RFID Tag and how it works with Jarvis? RFID stands for Radio Frequency Identification, it’s been around for quite some time and we are seeing a lot more where people’s company card and you swipe it to your company and it is essentially the same thing. I thought what if I could build my own RFID tag reader using an Arduino as the micro controller and the parallax reader and developed my own design as well as programmed it. What do you find most useful about Jarvis? I spend less time on Facebook, Netflix, packing tracking sites and other web services anymore, because when ever something happens that I want to know about, it is portrayed to me in live time either through his voice or private Twiter account. It is really convenient for me because instead of me looking for the content, the content comes to me. So, I am more connected than I was before and more informed. What is future plans for Jarvis? Yea, there really is no limitation. It is a gigantic industry, if the industry really does start on a mainstream scale. Some ideas I have, are through the GPS coordination. Right know Jarvis knows my GPS location at all time and right know I’ve only integrated that into the weather. So, when I ask him for the weather he will respond upon relative to where I am on the planet. There is a lot more that you can do with that. Maybe he can send me text messages when items happen relative to me from Google News. For example, a fire or a car accident or an event that occurs I can be aware of it almost instantaneously as soon as Google finds out about it. Another is through biosensors, to sense my heart rate like when I am getting to stressed out and to relax a little bit-that can be helpful. There are no limitations it is really your imagination, you can accomplish just about anything. About everything in the world is Web 2.0 there are so many great APIs, RSS feeds, KML feeds it really makes it easy. There are so many databases and sources that it is really amazing what you can do. Are you planning or have you already purchased an iPad? There is a slight chance that my work will be able to get me one, but I am going to wait for version two. I can almost guarantee that version two be a lot cheaper. Probably cheaper by two hundred dollars in price, and probably include a built in webcam for iChat video conferences. I think you will be able to see some pretty remarkable things like college students will be able to purchase their books online. They might have had to spend eighty bucks but they can spend about fifteen bucks and have them on your iPad. I think it will be remarkable to see where it heads in the next six months to a year. I know you were a former Mac Genius, what would you say to any aspiring Mac Geniuses? The Mac Genius job is an excellent experience. I really enjoyed my time there; I learned massive amounts of information. Meet great people and spending time in Cupertino, California to get my certification and training was one of my best experiences of my life. I really appreciate my time there, but it is a very difficult job. You’re really pushing and have to deal with some difficult people. It definitely has pros and definitely has and cons. If you’re real big in buying Mac gear, the discount definitely helps in that area. I want to personally thank Chad for taking time out of his schedule to talk with us about Project Jarvis. It was a pleasure to converse with him. Great Blog! I also like your clean, smooth design.